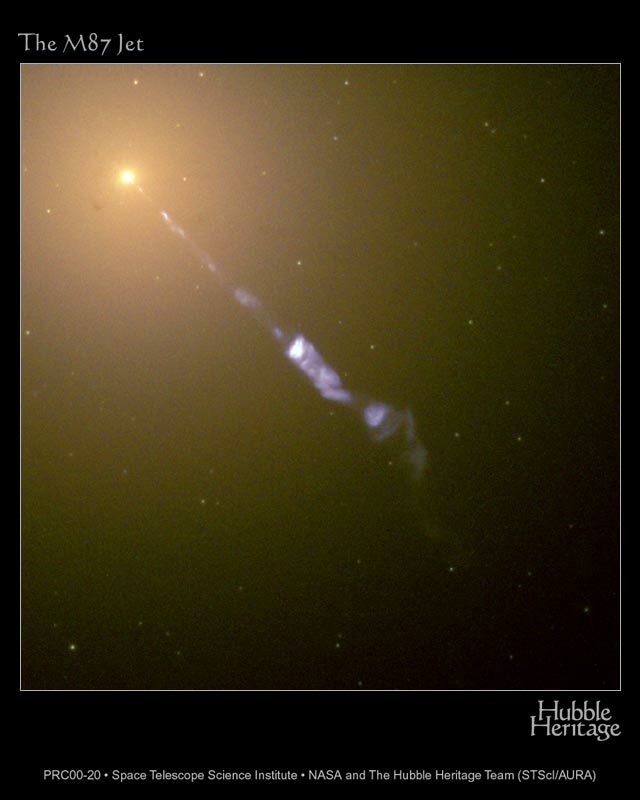 Explanation: What's causing a huge jet to emanate from the center of galaxy M87? Although the unusual jet was first noticed early in the twentieth century, the exact cause is still debated. The above recently released picture taken by the Hubble Space Telescope shows clear details, however. The most popular hypothesis holds that the jet is created by energetic gas swirling around a massive black hole at the galaxy's center. The result is a 5000 light-year long blowtorch where electrons are ejected outward at near light-speed, emitting eerily blue light during a magnetic spiral. 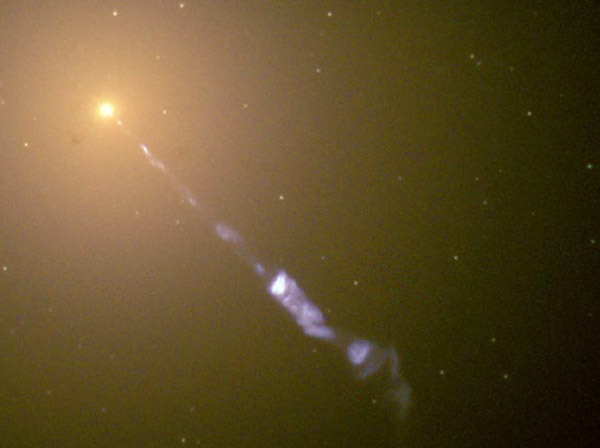 M87 is a giant elliptical galaxy residing only 50 million light-years away in the Virgo Cluster of Galaxies. The faint dots of light surrounding M87's center are large ancient globular clusters of stars.